It was Miss Murfin’s birthday last week and she and I decided to visit a tea room and indulge in a special high tea. She had never tried clotted cream before…Imagine! We went to a place called The Silver Spoon in Kitchener Ontario. It was wonderful and we happily recommend it if you are in the area. 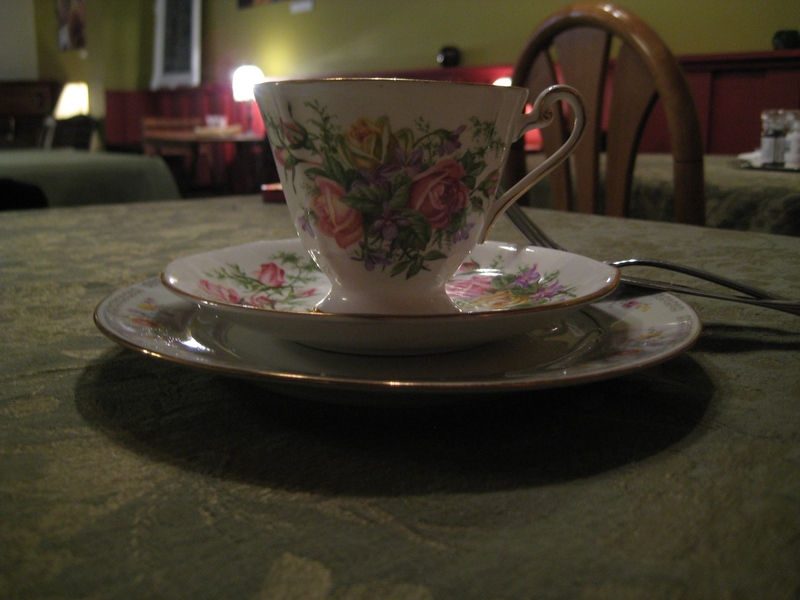 The table was laid with lovely china and the full high tea is three courses. 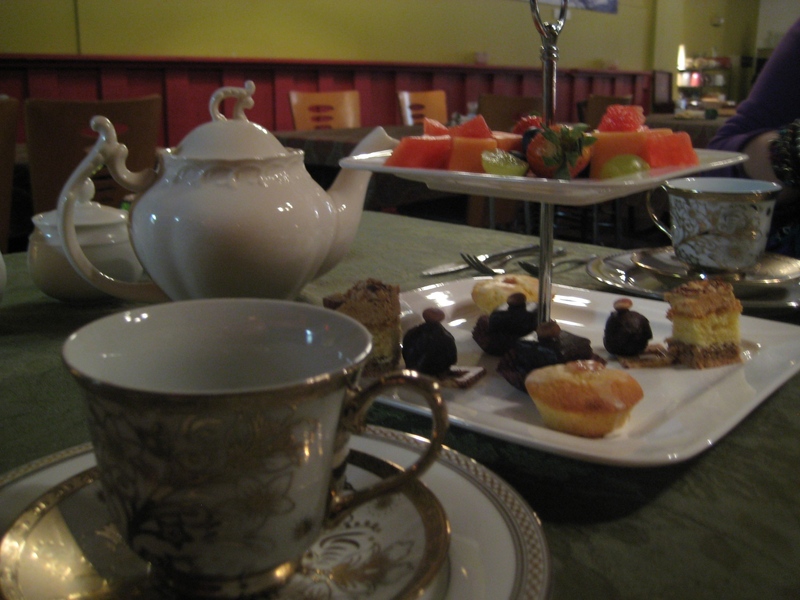 With each course we had a new and delicious tea and more tasty nibbles. They display their china all around the room. 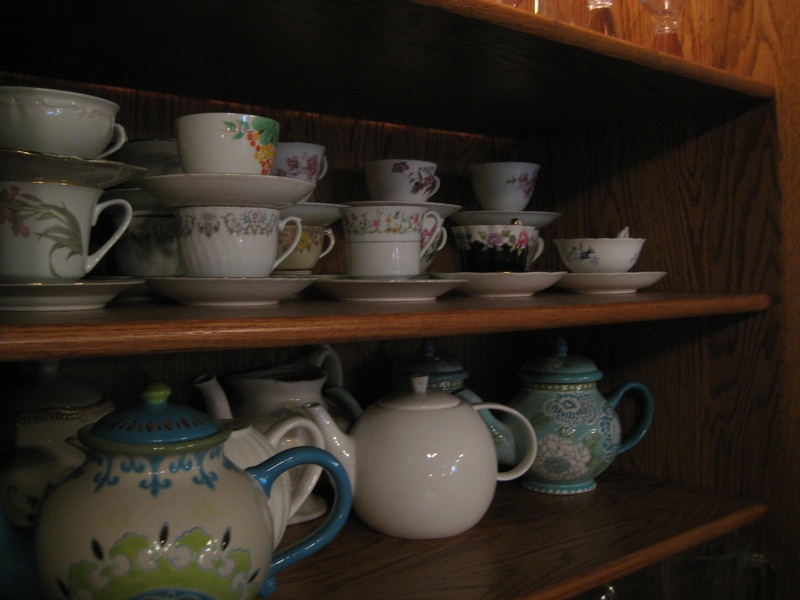 I love that there are all these different cups and saucers and tea pots. Each course came on a two tiered server. 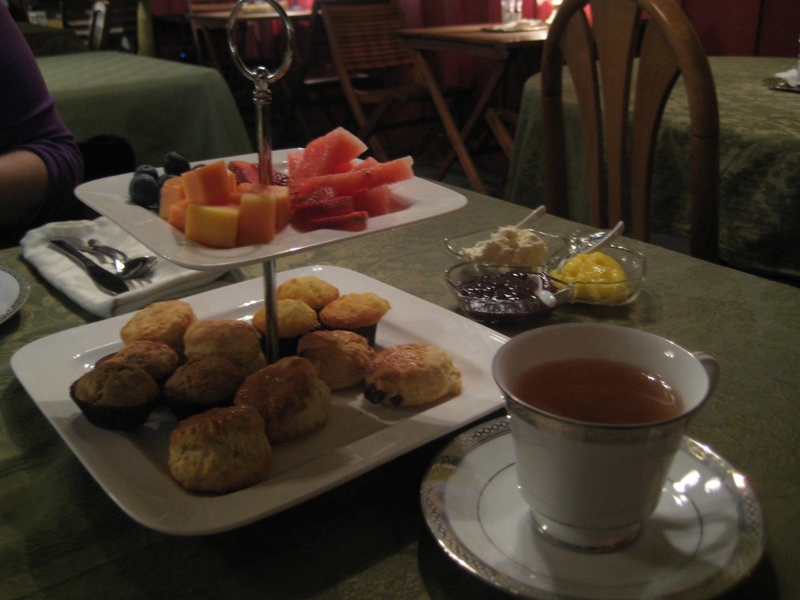 This first course was earl grey tea with scones and small muffins and fruit. 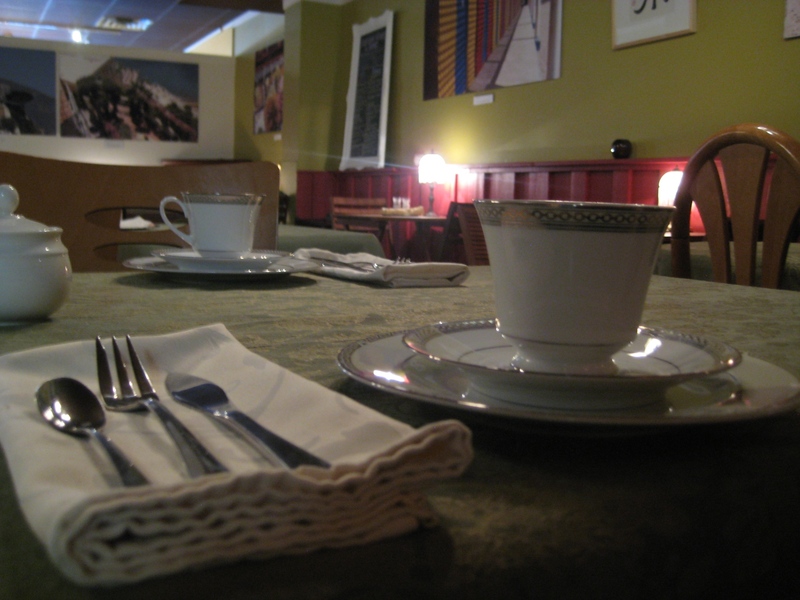 The second course was tiny crustless sandwiches and quiches with a blooming green tea in a clear pot. My picture of that did not turn out so we skip ahead to the final course of Chai tea and sweets. Whew! we were stuffed! You think you are just eating tiny little bites so you won’t get full, but it all adds up to a substantial amount of food. Since it was all YUMMY we had to take the chocolates home. Such a nice way to celebrate my special girl’s birthday. ← It’s Here! It’s Here! That looks and sounds lovely. I adore high tea. When the kids were young and we’d go to NYC to visit grandma we’d have tea at Bendels. They had an upstairs restaurant with teapots everywhere, and the high tea was scrumptious. My kids remember it fondly, although it has all changed now. Feel free to use the photos I have on my facebook of the second course! Sounds wonderful, I’m so jealous that you have a Daughter. Oh well now that I finally got a Grandaughter we will do a tea like that someday.